This article originally appeared in Bitcoin Magazine Issue 22. There’s a lot of misunderstanding around the terms “virtual” and “digital,” and people often mistakenly use them interchangeably. The reality is that virtual currencies are a type of digital currency, meaning that all virtual currencies are digital, but the converse is incorrect. Cryptocurrencies like Bitcoin are another type of digital currency, but they are in a separate category from virtual ones. Other types of digital currency also exist, and understanding which is which can become confusing. Digital currencies are exactly what they sound like: currencies stored and transferred electronically. Any money based in 1’s and 0’s meets this definition; dollars stored in a bank account are supposed to be a representation of dollars actually held somewhere, whereas physical bitcoins are a representation of their digital counterparts. One could argue that our increasingly cashless society means that all currencies are becoming digital (sometimes referred to as “electronic money”), but they are not presented to us as such. Real digital currencies have been around for some time. One of the first was E-gold, founded in 1996 and backed by gold. Another known digital currency exchange was Liberty Reserve, founded in 2006; it let users convert dollars or euros to Liberty Reserve Dollars or Euros, and exchange them freely with one another at a 1% fee. Both services were centralized, reputed to be used for money laundering, and inevitably shut down by the US government. Online payment services like PayPal (founded 1998) function similarly, based on traditional currency, except with more restrictions and government compliance (ensuring their survival). Based on offshore tax havens beloved by the wealthy and unscrupulous, early digital currencies gave the industry a bad image. Virtual currencies, by contrast, are intended to be light-hearted and fun: they, too, have been around far longer than cryptocurrencies like Bitcoin, and are used primarily for online entertainment in virtual worlds. “Virtual” can be defined as “not based in physical reality,” and virtual currencies are those which are not intended for use in “real life,” or expenditure on real assets. They are, in another word, toys. Pretty much all virtual currencies are centralized, with control of the money supply resting in the hands of the virtual world’s developers. Most massive multiplayer online games hire trained economists for this sort of thing, and their power dwarfs that of the American Federal Reserve. When they want to increase the money supply, they add some new quests with increased gold rewards. If they want to shrink the money supply, they add what are called “sinks,” which usually amount to expensive new vanity items, vehicles, etc. that are purchased from a non-player character, thus vanishing the money back into the game. A new update can completely change the game’s economy, and cripple a player’s enterprise. Virtual currency developers vary in how much interaction they allow their system to have with “real” currencies. At the extreme end of the spectrum, World of Warcraft is very strict; Blizzard does this primarily to avoid legal headaches, as their currency would incur taxes if the government recognized it as having actual value. In order to maintain the perception that their virtual gold is fake, violating this rule is punishable by a permanent ban, and they actively search for accounts involved with real-money trading. Many items bind to an account upon acquisition; since this restricts the free flow of goods, the net effect of such restrictions is to reduce the scope of the game’s economy. Other online game developers want to promote a deeper and more dynamic virtual economy, such as the team behind EVE Online. EVE, if you’re not familiar, is a very complicated online space-faring game, replete with drop-down menus and statistics. Players construct corporations and empires spanning galaxies, in a massive game-world where almost the entire experience is built by players on top of existing economic infrastructure. While there is a pre-defined set of things a player can do, the variety of their interactions forms a stunningly complex system. Their biggest war ever cost over $250,000 in virtual destruction. The EVE Online developers still issue ongoing updates as players discover exploits that throw the economy out of whack, and maintain certain restrictions. While all items can be freely traded, EVE still has to maintain that its virtual currency has no real value. Technically, you cannot buy ISK with dollars, but you can buy game time cards, which can be traded in-game for ISK. You cannot, however, redeem cards for cash, and while real-money trading is far more extensive than in games like WoW, it is technically prohibited. At the far end of the spectrum are virtual worlds like Second Life, an online life simulator developed by Linden Labs. Linden Labs tolerates the exchange of Linden Dollars and real-world currency, but they still control the supply of Linden Dollars. One can openly make a living and earn traditional currency with a successful in-game enterprise; however, Linden Dollars are still a virtual currency because Linden Dollars are practically never redeemed directly for real goods or services. Some players may have made a fortune from it in real estate, but it’s still a game. Other digital currencies, meanwhile, are redeemed for physical goods and services all the time. You can order products via PayPal, for example. Bitcoin used to be thought of as “Internet money,” but you can now spend it in person at physical businesses. This makes them similar to traditional money in that respect, and makes them more “real.” Cryptocurrencies are designed to be capable of replacing cash, and there’s nothing virtual about that. The other obvious factor differentiating cryptocurrencies like Bitcoin from other digital currencies is that they’re generally decentralized. No central power (such as a group of video game developers) has arbitrary control over the money supply. World of Warcraft, EVE Online, and Second Life all have servers, which the developers can manipulate at will (or shut off entirely), but Bitcoin runs on a network of participating computers that agree to the same standard. 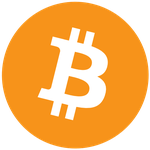 Unlike such centralized currencies, bitcoins are mined at a mathematically-controlled rate, and their supply subject only to free market demand. This distinguishes them from traditional currencies like the dollar, as well, which follow the decision-making of central banks. The cryptography inherent in cryptocurrency also makes it more anonymous than any real or virtual currencies, which are tracked by banks and developers, respectively. There are still some unanswered questions. Where does the virtual world end, and reality begin? Is owning an image in a game so different from owning an image on a website? The amount of time people spend in online games will continue to climb as the technology advances, to the point that many will covet virtual property more than physical. This could lead to virtual currencies becoming real digital currencies, or traditional and digital currencies entering the virtual space. The lines are getting blurry in the world of currency. As banks go online and plastic becomes ubiquitous, physical cash is becoming antiquated. Electronic money has already taken over, but digital currency is taking things a step further: for the first time in history, people are thinking in terms of numbers, not coins and bills. Once everyone realizes that the majority of the “cash” in the world exists in banks’ computers, with no hard money backing it at all, they won’t see the effective difference.